It’s partner day at Goldman Sachs! The list of the 78 new partners is out. Being named a partner at Goldman is a huge deal. It’s one of the most highly-coveted titles on Wall Street. Partners are picked every two years during an extremely intense and secretive selection process. In 2012, the bank tapped only 70 partners compared to 110 in the previous cycle. The size of the partner class isn’t pre-dictated, though. However, it usually tends to be between 1.5 and 1.9% of the full-time employee population at the firm. 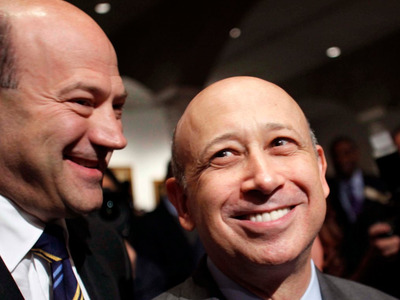 This morning, CEO Lloyd Blankfein and president/COO Gary Cohn personally called folks at their desks to let them know they have been made a partner. The calls usually begin around 5am EST with the Asia offices and continue until around 9am EST.